If you’re looking for a DJ for your 18th or 21st birthday you’ll want somebody playing the tunes who knows their music and has a dynamic personality. You’ll want to hear top quality mixing, and you’ll want to hear it on a great sound system. 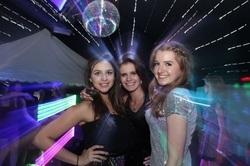 We use the latest modern lighting effects which will create a true club vibe. If your tastes reflect more of a family party, rest assured, we have got that covered as well. We will cater for all tastes and guarantee everybody will be on the dance floor together, creating a real family party atmosphere. Making sure we get the music perfectly suited to your requirements is paramount to making your party a success. We want everybody to be happy and talk about your party for years to come. As soon as we confirm your booking, we will start consulting with you about your personal play list. We can set up an online link that you can share with your friends and family, where you and they can let us know in advance about the music you all love and want to dance to. The DJ will also take requests on the night and has the ability to download live any tracks they may not have, ensuring your party is the ultimate success.